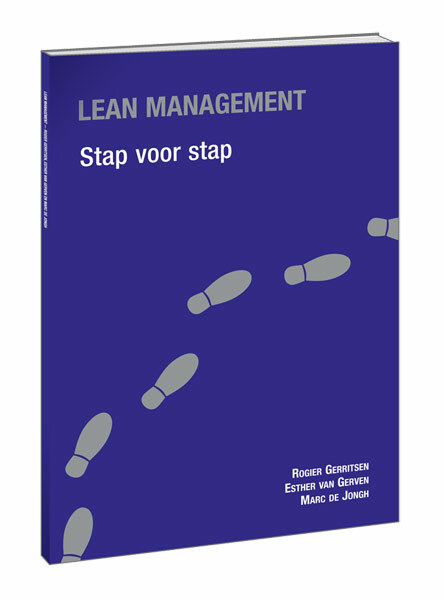 Een geheel vernieuwde en uitgebreide Engelstalige uitgave, gefocust op de implementatie van Lean Six Sigma in dienstverlening en zorgsector. 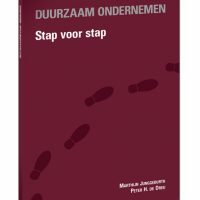 Een uitgave waarvan de eerdere drukken uitverkocht zijn en die nu in een meer uitgebreide en aangepaste versie opnieuw wordt uitgebracht. Lean Six Sigma has evolved into a global standard for organizing the design, improvement and control of business processes. Well-designed and controlled processes are the key in achieving operational excellence, and ensure the quality of service and care, the reliability and safety of work that is done, and a timely processing with short waiting times. High quality processes will at the same time improve the operation’s flexibility, allowing one to adjust to changes in demand and circumstances. Relentless elimination of waste and inefficiency, finally, will drive down operational costs. Lean Six Sigma offers a complete model for shaping an operational excellence program in one’s organization. The methodology is built on principles and methods that have proven themselves over the twentieth century. Having emerged in manufacturing, the approach has gained tremendous momentum in the service and healthcare industries in recent years. 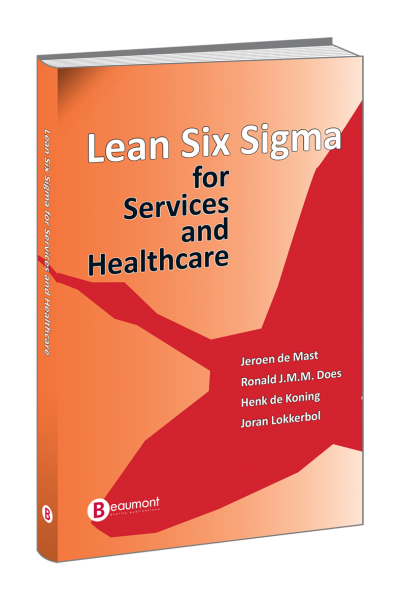 This book offers a thorough and practical account of Lean Six Sigma with a special focus on applications in service and healthcare organizations. 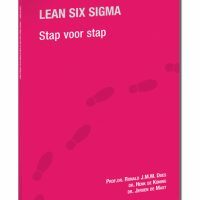 Lean Six Sigma for Services and Healthcare is een geheel vernieuwde en uitgebreide Engelstalige uitgave, gericht op de implementatie van Lean Six Sigma in de dienstverlening en zorgsector. Een uitgave waarvan de eerdere drukken uitverkocht zijn en die nu in een uitgebreide en aangepaste versie opnieuw wordt uitgebracht. Hieronder volgt een samenvatting in het Engels. The twentieth century saw an incredible development of professional organizations. Apart from the impact of technological progress, innovations in management structures and methods have resulted in the highly productive organizations we know today. When the race for outperforming competitors on quality and efficiency gained momentum, companies started to copy each other’s best practices. Consultants and management gurus quickly jumped in and started giving names to these methods: total quality management, just-in-time, business process reengineering, statistical process control, quality circles, lean manufacturing, continuous improvement, etcetera. Time has singled out the methods, principles and approaches that really added value. While most approaches have been presented as panaceas at one time or another, time has shown that they are in fact complementary. Lean Six Sigma is not a hype; it is built on principles and methods that have proven themselves over time. It has incorporated the most effective approaches and integrated them into a full program. It offers a management structure for organizing continuous improvement of routine tasks, such as manufacturing, accounting, nursing, sales, and other work that is done routinely. 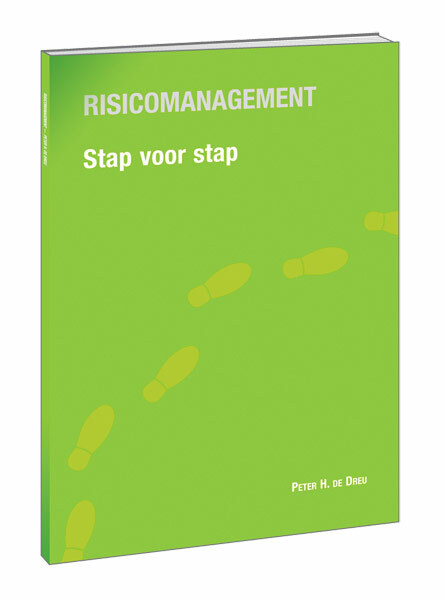 Further, it offers a method and tools for carrying out improvement projects effectively. Improvement and redesign of routine tasks (manufacturing processes, service delivery, marketing, healthcare procedures, sales, et cetera). Cost advantages: superior productivity and equipment utilization, avoidance of unnecessary capital expenditure, working capital reduction. Advantages derived from superior customer satisfaction: reduced price sensitivity, growth of revenue or market share. Competence building in manufacturing or service delivery. Competence building in continuous and company-wide improvement and innovation. Professional and science-based problem solving. Precise and quantitative problem definition. Innovative generation of new ideas. Field-testing of ideas before implementation. Program management consisting of a Lean Six Sigma director, program managers (daily management), and Lean Six Sigma Master Black Belts (knowledge resources). Project management consisting of a Champion (project owner) and a Black Belt or Green Belt (project leader). Team members: experts, shop floor personnel. Acknowledging that process improvement requires process specific knowledge and acceptance by the shop floor, Lean Six Sigma favors project leaders from the line organization to staff personnel or external consultants. Given the importance of the strategic focus and integration of the method, Lean Six Sigma prescribes that projects are monitored and reviewed by Champions and program management.